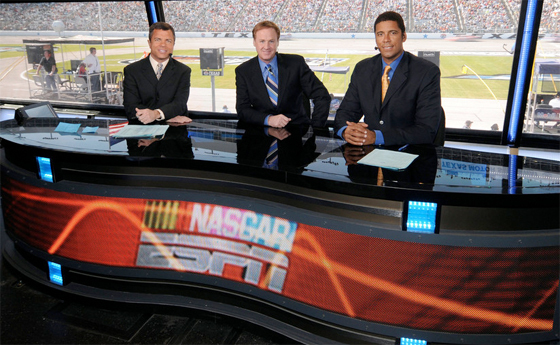 When NASCAR rolled into Daytona International Speedway last week, ESPN debuted an updated pit studio. The mobile studio, built on a tractor trailer that raises into the air, features a new desk that is larger than the previous. 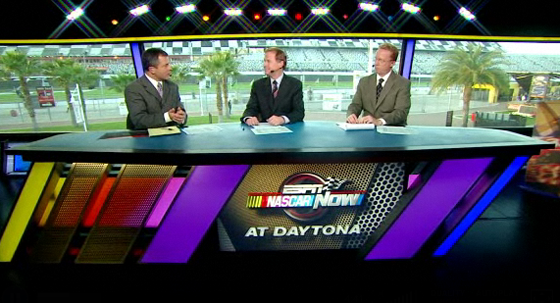 The new desk does not have a large LED like the previous, but has many backlit panels that mimic the NASCAR logo.